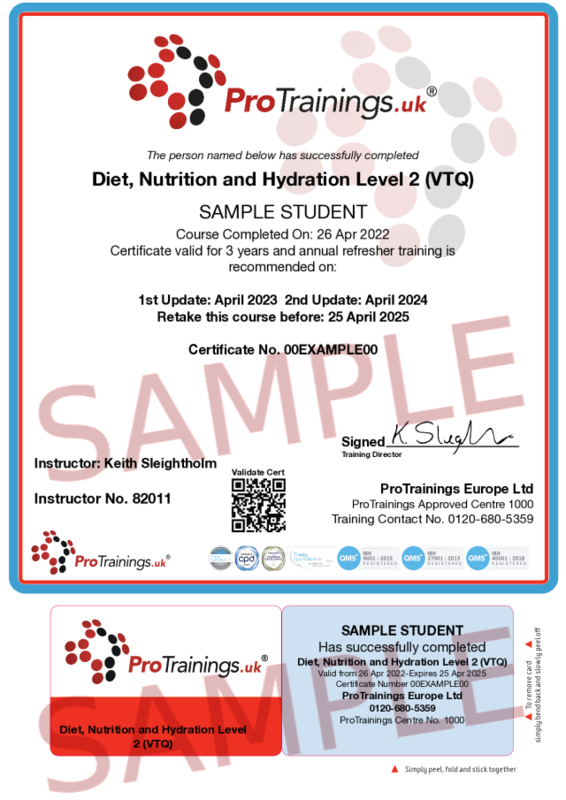 Diet and Nutrition is a trainer-led course that is delivered with a guided learning hour of 4 hours and available nationally through our approved instructors. 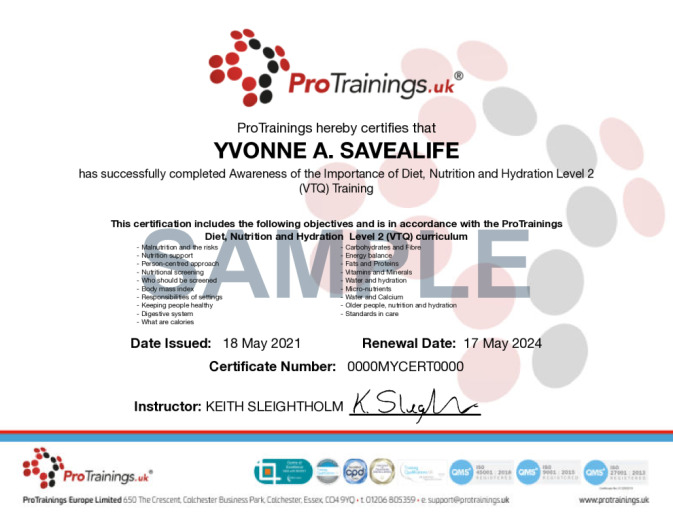 ProTrainings are Skills for Care Centre of Excellence and Endorsed for both our classroom and e-learning courses. This means that our training meets the high standards expected by Skills for Care. This course comes with 3.0 hrs (5.0 class) of CPD, although the time to complete the course online may be less than this. Total course time includes 1 hour and 34 minutes of video training as well as knowledge reviews, final test, remedial help and reviewing downloaded material.